Keep the chill of fall away in style with a fashionable Miche scarf! 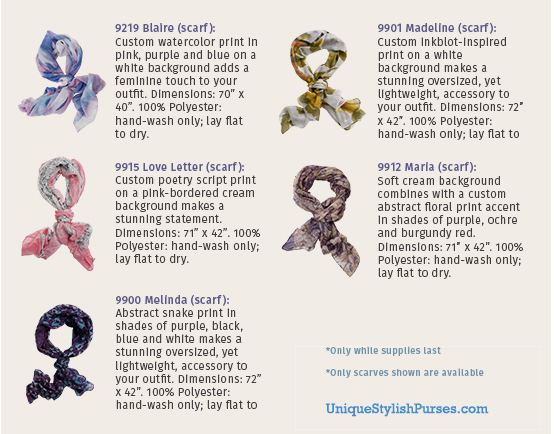 From September 1-30, with every minimum $100 purchase (before tax and shipping), you can add your choice of two select scarves FREE! That is an original retail value of nearly $60!